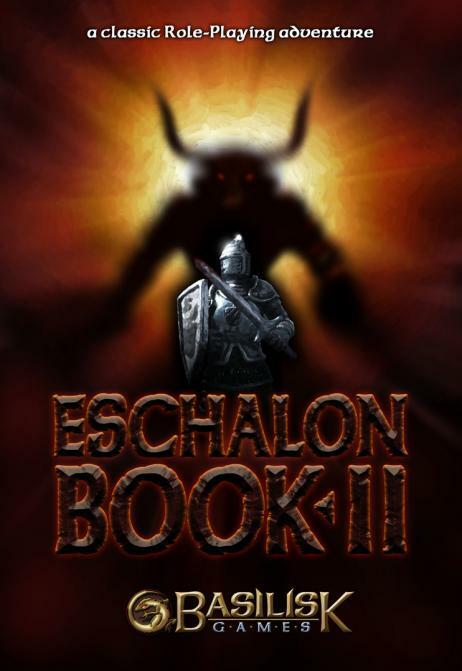 Eschalon: Book II is a turn-based RPG from Basilisk Games. It's the middle entry of a planned Eschalon trilogy, and it was released way back in May of 2010. Book II didn't receive a whole lot of fanfare when it came out -- so little, in fact, that we didn't get around to reviewing it even though we're an RPG-specific web site. But we've been expanding our Eschalon coverage lately in preparation for Book III being released later this year (maybe in October), and so in a "better late than never" move, we're going to review it now. Fortunately, Book II is still relevant. Thanks to online retailers like Steam and Good Old Games, it's easy to purchase Book I (released in 2007) and Book II -- and for prices that beat most budget titles. And so that means the only relevant question is this: Is Book II worth playing? I'd say the answer is yes, but you should keep reading to see if the game sounds like it would work for you as well. Eschalon: Book II takes place two years after the events in Book I. You're still playing the same character, technically, but thanks having your memory wiped in Book I to prevent your enemies from gleaning information about the mysterious Crux of Ages, you now have trouble remembering things, including any skills and spells you might have known, and so now you're back at Level 1. That means you're essentially starting a new character, which means you don't need a save or anything from Book I to play. In fact, you don't need to have played Book I at all. Book II summarizes everything from that earlier game that's relevant to the new campaign. In Book I you protected the Crux of Ages and almost single-handedly prevented the Goblins from taking over Thaermore. In Book II you learn that while the Goblins didn't fare very well, the Taurax invaded Thaermore next, and with the region still weakened from the earlier attack, they rolled to an easy victory, and even claimed the Crux of Ages for their own. Now it's up to you to teach the Taurax the same lesson you taught the Goblins, and to prevent them from gaining control of the rest of the crux stones, which supposedly can be combined to devastating effect. Character creation in Book II is roughly the same as in Book I. The first thing you do is roll your attributes. Each attribute can receive a value between 7 and 14, but you're allowed to roll as many times as you want, and so the more patient you are, the better off your character is. You're also give 20 attribute points to spend however you want. Attributes include Strength, Dexterity, Endurance, Speed, Intelligence, Wisdom, Perception, and Concentration, and they control about what you'd expect. For example, Strength adds damage to your melee attacks and allows you to carry more weight, while Intelligence and Wisdom add to your mana points and allow you to learn more spells. Next up, you have to pick an origin (a hometown for your character that gives you a bonus to your attributes), an axiom (a religious belief that adds pluses and minuses), and a class (including fighter, rogue, ranger, magick user, and healer). Combined, your axiom and class give you a starting skill for free, but they don't restrict you in any way, so you can create a Fighter and end up focusing on Elemental spells if you want to. Besides your starting skill, you also receive 15 skill points for other skills, including Alchemy, Cartography, Heavy Armor, and Swords. Learning a new skill costs 3 points, but upgrades after that only cost 1 point each. New in Book II, you also get to pick a gender for your character. This choice gives you another bonus to your attributes (males get +1 Strength while females get +1 Dexterity), but it's otherwise cosmetic. I didn't notice any dialogue changes for different genders, and there aren't any romances in Book II. The character system in Book II works pretty well. With 8 attributes, 5 origins, 5 axioms, 5 classes, and 26 skills, you're given lots of ways to build your character, and, nicely, not every decision is about maximizing damage in combat. You also have to decide things like how much you want to spot traps, whether you want to pick open locks or bash them or melt them, and how much you want to worry about money. As an example, there is a Lore skill that (along with Intelligence) helps you to identify objects. Unlike most RPGs where you just need to identify weapons and armor with magical bonuses, in Book II potentially everything needs to be identified, including silverware and books. So it's certainly more convenient to put points into Lore, but there is also a Lore spell, and you can also pay shopkeepers to identify objects for you, which means the Lore skill is not required. So do you put points into Lore, and how much? It's always good when an RPG forces you to make decisions rather than allowing you to learn everything.